Our program provides you with the peer-to-peer advice to future-proof your PLM system and meet the emerging challenges of a rapidly developing and innovative IIOT landscape. Enable your PLM to take advantage of embedded software development and cross-domain system simulation to deliver smart, connected products. Deliver service lifecycle excellence and predictive analytics through performance enabled Ditial Twins, enabled by the Model-Based enterprise. PI PLMx London explores not only the greater use of digital assets to deliver enhanced levels of enterprise and supply chain collaboration, resulting in productivity gains through strategic decision making but also addresses the need for PLM to evolve further to meet the challenges of a rapidly developing and innovative IIOT landscape. One of the best events I attended on innovation and product development. Highly actionable insights that help in making digital transformation in the context of our industry. It was an amazing experience to learn, network and share experience. I've shared the resume of the event with Embraer Executives and all see a lot of value to keep in touch with PI organization. Once again, an amazing high quality event here. 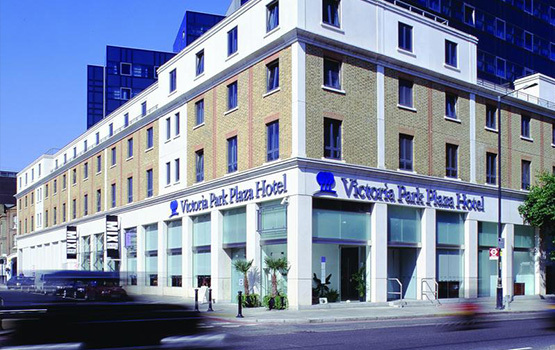 Perfect for conferences, we have picked the Park Plaza Victoria hotel to host PI PLMx 2019. It is located in the heart of London, right next to Victoria station, with excellent transport links to airports and throughout the capital. We have a discounted rate of accommodation for our attendees, please find this on the venue page.